two weeks before we left, this wasn’t even something we knew about. It was a very early Friday morning and I was at the Philadelphia airport on my way to LA for a business conference (free where they spoiled the ish out of us “New Leaders”!!!). I had found out the day before that our embryo transfer failed and since our other embryo didn’t survive the thaw, we were left with nothing and back to square one. I had grieved big time. I was devastated and angry and just blah. BUT I was really excited for my trip and knew it came at the perfect time to distract me – plus, two nights just me where I could get uninterrupted sleep? Sign me up! 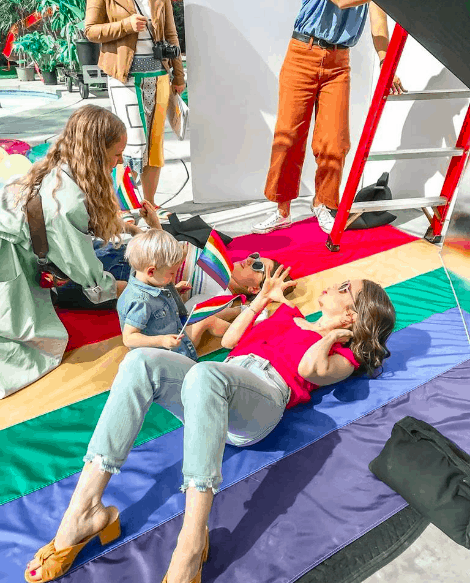 as I was sipping my first latte of the day, I checked my email and there was an email from a woman from an influencer agency who loved my Instagram feed and her client – Old Navy – was interested in featuring our family for their May social media campaign … um what?! I definitely thought it was a scam but I did a lot of research and spoke to friends in the industry and it was actually legit! after a few days of back and forth figuring out details and confirming that we were finally chosen, flights were booked, Airbnbs selected and we were going to Cali for a full week with my parents (a nanny was required on set, so that was going to be my mom!) – we decided to turn it into a week long vacay. Sunday: Disneyland!!! and went to a hotel bc our Airbnb was gross! Monday: fitting in LA then drove to Palm Springs — took 3.5 hours. I thought NYC traffic was bad! Tuesday: photoshoot in Palm Springs. WHAT A DAY!!! 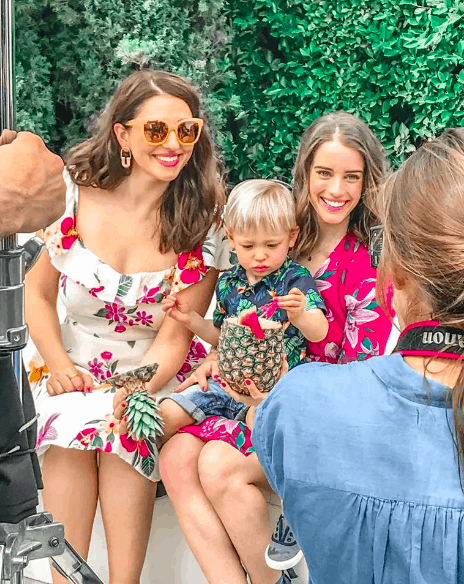 The shoot – holy moly, I had no idea how much went into a campaign. Old Navy does this monthly! 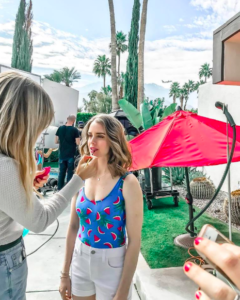 there’s a day of fittings and days of shooting in a studio as well as on location – ours was in super cool modern Palm Springs homes. at least 100 people were hired to do all the behind the scenes work – fitting, tailoring, photography, art directors, child wranglers (ummm they were AMAZING), teachers, catering, set crew … unbelievable work these people do. Parker wasn’t a huge fan being on set. People were all over him, telling him where to pose and what to do … he’s not a kid that likes to sit still!! for one shot, they had to completely reorganize and reorchestrate the scene because he didn’t want to lie down! he did GREAT for the last scene where he and I were doing yoga together and he got to climb all over me and I could throw him in the air! they even got a shot where he kissed me directly on the lips – I hope we get that one!!!!! 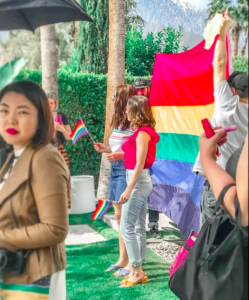 the ads will be out in May – we’ll be on their social media accounts and possibly their email (especially for their Pride campaign!!!!). life can be pretty magical!!! one of the stipulations was that I couldn’t be pregnant … there are hidden blessings everywhere, even if you can’t see them right away.